Q. What is a sitting fee and what does it come with? A. Sitting fees pay for the photographer’s time and talent to take the photos at your session. Sitting fees pay for time, not the photos, prints, or albums. Q. Why is payment due before I see the photos? A. Payment for a session is actually due at the time of sitting, but sometimes things get crazy at a dog show and either of us are pulled in different directions before we have time to settle the payment. Once the sitting fee is paid for, I’m free to send out the photos - it is easy for me to keep track of clients this way. If you’ve already received the photos, you will have no incentive to settle up or will just plain forget (like I would). So I try to keep it simple - if you haven’t received your photos, you haven’t paid me. I have the ability to take credit cards on site as well as take cash and checks - so it should be easier than ever to settle up business before we get to the fun stuff of viewing the photos! Q. You shoot in high resolution, why don’t you just give me all the photos? A. While I do shoot digitally and in high resolution, this is not free - equipment like my awesome camera and lens as well as computers to process your images (as well as my time and expertise) cost a lot. The sitting fee does not pay for the photos. 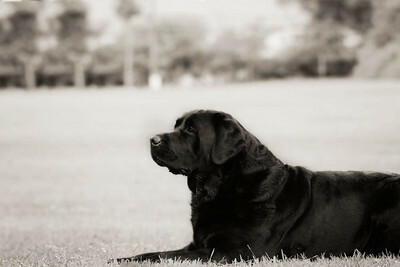 Normal Sessions include Facebook Sneak Peeks and Dog show sessions include up to 5 web quality images. This is a ‘freebie’ incentive that I have included as most breeders only want photos for websites, Facebook, or digital advertising of their show dogs. Prints, books, and digital files are extra. Digital files for print advertisement purposes are as low as $70 per image when bought as a whole session. This is a small price to pay for a spectacular image to advertise your stud dog. 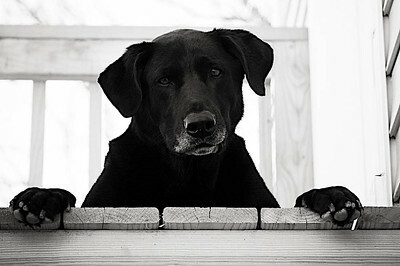 Photos can make or break a dog’s career, make sure you are advertising with a good one! Q. You like taking photos and my dog, kid, or farm is the cutest one on earth. Will you take my photos for free? A. I’d like nothing more than to offer free sessions and photos to everyone, really I would. If you don’t believe me, just ask my friends (who also have to pay!) I won’t gauge your pocket book and I’ve made my prices fair - but I do have to charge you - mostly because I have bowls to fill and bills to pay. If however, you would like to offer FRED & I a place to live, food for both of us as well as sponsor our dog showing and our gas tank, then we can definitely talk about free photos ;). Q. What if I have an awesome charitable cause? Will you work for free? A. I am happy to work with charitable causes and we will look at each project on a case by case basis! Q. Can I earn a free session? A. Sure! Find 5 friends that would like to have a session at your property on the same day - we will make a day of it, and your session fee will be waived! Q. We had photos done at a mini session or a dog show a few days ago - why aren’t my photos done yet? A. My normal turn around time for photos is 2-3 weeks. The busiest times of the year can push turn around time to 4-6 weeks. Please keep in mind that I travel a lot during certain times of the year, and if I traveled for your session, I have to arrive home before editing. I haven’t mastered driving and editing at the same time, and that’s probably a good thing! Q. Do you offer a payment plan? A. Whether it is because you love more photos than you anticipated or you are on a strict budget this month, I’m happy to work with you so you can get the keepsakes and memories you need! A. I accept credit cards, checks, and cash. I haven't been known to turn down cupcakes, but please don't pay me in full with baked goods! Some event galleries are loaded on this website and you can purchase directly from them. My lab handles the printing & shipping directly to you! Q. My photos were taken 6 months ago, can I still purchase them? A. Absolutely! The quickest turn around time is when your photos are still on my desktop - that’s about 2 weeks from when you get your gallery. I highly suggest orders are made during that time. After the 2 week window, the photos are archived and while I can still access them, it takes a bit longer so you will have to be patient with me. For quickest results, order as soon as your gallery is delivered to your inbox! Do you have a question not answered? Feel free to ask! I won't bite and promise I won't laugh either. Why Should You Use Elizabeth Arellano Photography for your Show Dog? I have truly photographed hundreds upon hundreds of dogs – all of whom helped to develop and hone my skills as a photographer. I have also been to a multitude of dog shows, where I have been studying breeds and watching. I know breed standards, how they should look and stand, and when they might not be looking their best - and when they are! I'll have everyone adjust until we get the right shot. I know what you need for a stunning photo, and we will work to get that! I will likely outlast you and your dog. I have a sense of humor, love puppy (and dog) antics, and don't get frustrated. I will help you relax, I'm never in a hurry, and I fully expect to get a photo that you will love that shows off your dog in a flattering light! Because I'm at the advantageous angle of seeing the view through my lens, I can see things differently than every onlooker at the photo shoot. I know exactly what I'm looking for, and I will be able to tell you to adjust your dog, to spin around, to jump up and down, and get that tail wagging – all for your dog to have fun. If your dog is having fun and at ease, your dog will be more natural and your photos will look better. So, don't worry if I have a ton of directions – I'm patient if things get chaotic, but I'm even more determined to make sure that you'll love your photos! If you would like to have a handler on your dog, and want to have input on how your dog is standing, I will always allow that. I want your dog to look the best he can! If you want a photographer to change toplines, tailsets, shoulder rolls, or anything else about a dog, then I am not the one for you. I will not do it, and please do not ask. 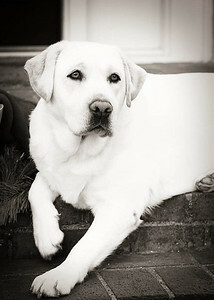 I pride myself in getting the best shot of YOUR dog (not a fake dog), and making them look their best! I also will not share your dog's photos with anyone except you. While I hope that my photos will be the best your dog has ever had, I realize that dogs may not be in their best coat, condition, or possibly were uncooperative for their photo session. You get to be the judge and can choose to share the photo (or not) after purchase and show it to the world. However, once you post it publicly, such as on your personal website, on facebook, etc., it is understood that you approve of your photographs, and I then reserve the right to use those photographs for my own public use on my own website or in advertising. Every time I sign my name to a photo, it represents me - I want it to be the very best. I have high standards for my photography, and really, you should too. Contact me to book your session now!